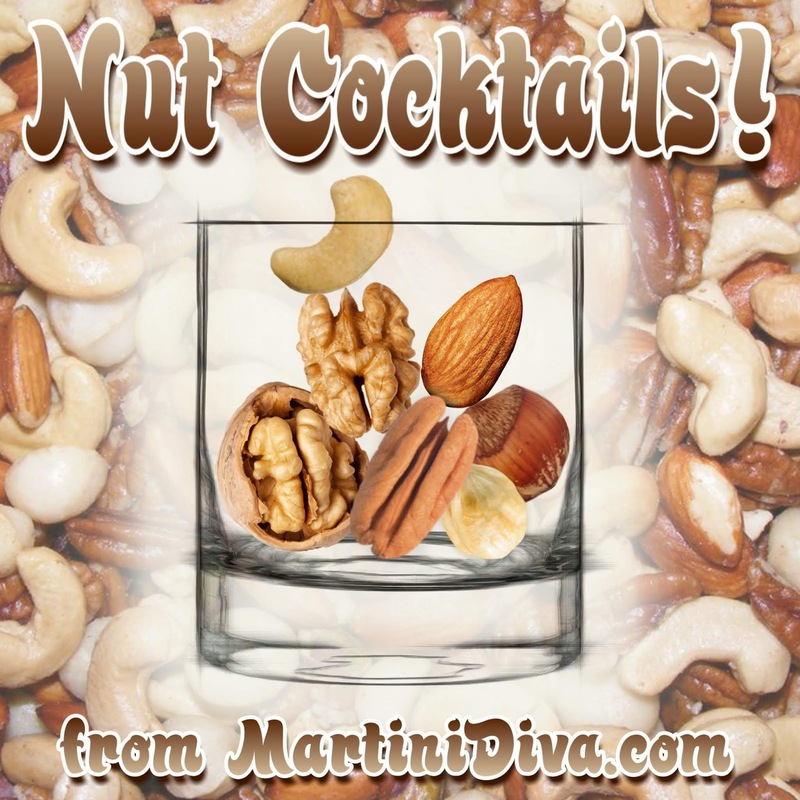 Nuts are a wonderful addition to cocktails, whether you use a nut infused alcohol, like Frangelico or Nocino*, a nut syrup like Orgeat, nut bitters or just add some to your glass rim for extra flavor and texture. 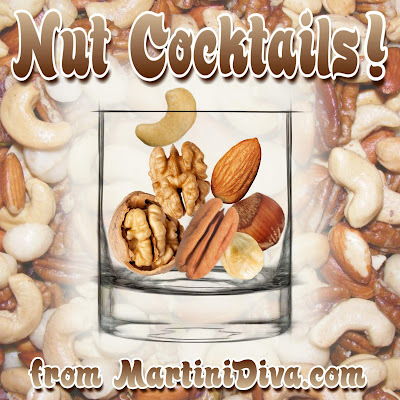 Nuts can add depth of flavor and subtle nuances to a cocktail that surprise and delight your palate. SOME OF MY TOP NUT COCKTAILS Almond Butter Crunch Martini Candied Pecan Martini Candied Pecan Mudslide Chocolate Macadamia Nut Cocktail Chocolate Pecan Pie Martini German Chocolate Cake Martini Joy of Almond Martini Nutella Martini Peach Praline Martini Pecan Pie Martini Pecan Cookie Martini And let's not forget the Nut Infusions: Candied Pecan Liqueur Toasted Maple Walnut Bourbon Now go out there and go a little 40 proof nuts! *Nocino is an Italian green (unripe) walnut infused liqueur.